Some weeks ago, New York Times columnist Gail Collins wrote a piece about the possibility of black-hole production at the LHC. I think she took this far too seriously; the chance of the LHC making black holes is super-tiny, and these aren’t the sort of black holes that are going to eat anything anyway. Today Collins (who really is one of my favorite columnists, very trenchant political commentary) returned to the matter. This time she did talk to an actual physicist, Brown’s Greg Landsberg, who is the US CMS physics coordinator. She’s still too hung up on it, but at least she gave us some publicity for the big September 10 date, and even said that LHC startup will be as exciting as the upcoming Democratic and Republican conventions. For sure, it will be more suspenseful! Some folks outside the scientific mainstream have asked darker questions as well: Could the collider create mini-black holes that last long enough and get big enough to turn into a matter-sucking maelstrom? Could exotic particles known as magnetic monopoles throw atomic nuclei out of whack? Could quarks recombine into “strangelets” that would turn the whole Earth into one big lump of exotic matter? 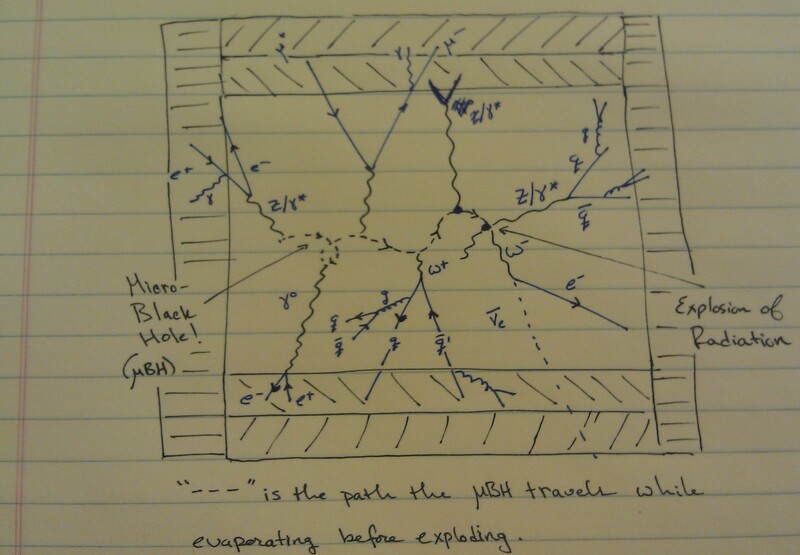 Former nuclear safety officer Walter Wagner has been raising such questions for years – first about an earlier-generation “big bang machine” known as the Relativistic Heavy-Ion Collider, and more recently about the LHC. Last Friday, Wagner and another critic of the LHC’s safety measures, Luis Sancho, filed a lawsuit in Hawaii’s U.S. District Court. The suit calls on the U.S. Department of Energy, Fermilab, the National Science Foundation and CERN to ease up on their LHC preparations for several months while the collider’s safety was reassessed. “We’re going to need a minimum of four months to review whatever they’re putting out,” Wagner told me on Monday. 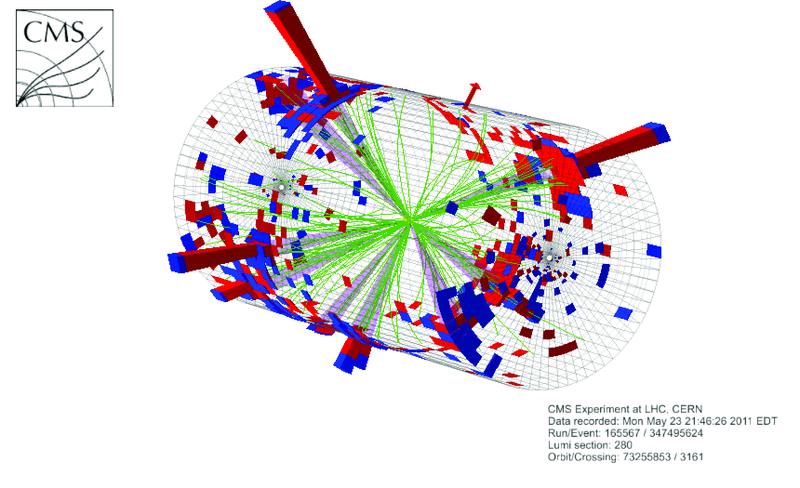 The suit seeks a temporary restraining order that would put the LHC on hold, pending the release and review of an updated CERN safety assessment. It also calls on the U.S. government to do a full environmental review addressing the LHC project, including the debate over the doomsday scenario. Someone thinks the “inner workings” of ATLAS is what I always thought was the outside. I should be nicer about this, but it’s a little funny. While a cheap shot, I admit, I consider this lapse fair game, since the phrase “inner workings” certainly was meant to have a sinister ring in this context. But speaking of (not being) funny, physicists’ attempts at being wry often misfire. Michio Kaku, whom Boyle seems to have used as a source, provides a reasonable, if blustery, dismissal of strangelets — “We see no evidence of this bizarre theory” — but then trips up: “Once in a while, we trot it out to scare the pants off people. But it’s not serious.” Unfortunately, this comes across as insulting to people who are seriously concerned about the effect of science on the environment, and does nothing to inspire their trust in us. If we keep making “jokes” like this to reporters, then we deserve to waste all of the energy that we do fending off folks like Wagner. So let’s stop intentionally scaring people, even in jest. Anyway, I’ll be following this closely on the physiblogosphere. Stay tuned. “Real” gravitational black holes – it’s been argued many times over that, for normal gravitational physics, energy densities at RHIC aren’t capable of producing enough matter in a small enough space to induce gravitational collapse, and subsequent decay via Hawking radiation. However, the presence of large extra dimensions has the effect of dramatically lowering the Planck scale and allowing this sort of phenomenon to occur, leading to spectacular isotropic decays of high mass black holes into the kitchen sink of particles from the standard model and beyond. I have relatively little experience bantering about this (i.e. one should check out Backreaction for more details on blackholology), but this is certainly the most “popular” conception of black holes at colliders these days. Hawking-Unruh radiation – my colleague in this interview, Dima Kharzeev, and collaborators have put forth an interesting analogy between “minimum bias” particle production, i.e. 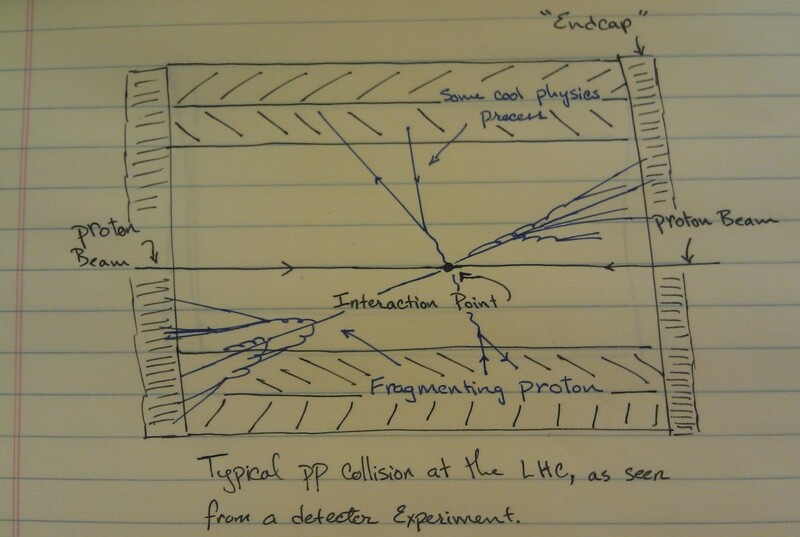 the many low energy particles produced in essentially every proton proton collision and, scaled up, every nucleus-nucleus collision. In this scenario, the process of the incoming projectiles “stopping” each other, and thus slowing down, by construction leads to acceleration (well, deceleration in this case). Einstein’s equivalence principle (remember that you can’t tell the difference between an elevator accelerating upwards at 9.8m/s^2 and the Earth pulling you down by gravity at 9.8m/s^2…) allows them to connect this slowing down to the Unruh effect in a gravitational field, which predicts the quantum tunneling of particles with an effective temperature of T=a/2Pi. When numbers are put in, out pops the famous freezeout (or Hagedorn) temperature we measure at RHIC (and in proton-proton collisions for years). So in effect, all strong interactions measured in the laboratory make a “black hole”, but not one resulting from gravitational collapse. As an onlooker, I find this connection curious, but not isolated — over the years I’ve noticed many authors make a variety of connections between gravitational physics and strong interactions, but they always feel mysterious, and thus it’s unclear where to go next. “Dual Black Holes” – this is something I and many others (both amateurs and pros) have found intrinsically exciting for a few years. The famous AdS/CFT conjecture suggests that strong interactions involving strongly-coupled quarks and gluons are really better (and more easily) described as a theory living on the boundary of a 10 dimensional gravity theory, with 5 extended and 5 compact dimensions. 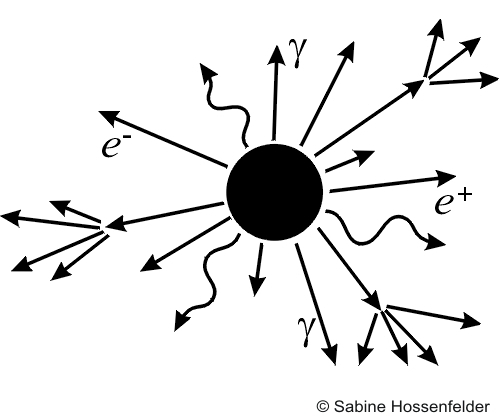 In this picture, again, every collision involves a black hole, which controls it’s microscopic properties (e.g. the viscosity), but one that lives in a larger dimensional space, and is thus again not the result of gravitational collapse in 4 dimensions. As people who have followed this thread (e.g. via my various blogs) over the years may be aware, this connection is allowing the development a striking number of techniques relevant to actual heavy ion phenomenology — and carries no risk to the 4-dimensional world (which someone should have told the BBC in early 2005…). Of course, we’re all hoping that the extra dimensions actually have some ontological status beyond being a mere mathematical trick, but time will tell.